To hell with the 0 Sugar diet! I am literally in heaven. Who can resist all these mouth-watering goodness? We definitely don’t deserve deprivation and I hate it when someone tells me I’ve been eating too much sweets because it adds up to my energetic personality and making me even more talkative than ever. I am a sucker for anything sweet, like anything including men who throw cheesy lines and muttering sweet effin nothings (like seriously, why did I include that?). So when I first arrived in Dubai, my sister gave me a little tour of the city and Dubai Mall was the first place I’ve gone to. I forgot to blog about this and was supposed to a long time ago but I was busy setting down and taking care of things for sissy. 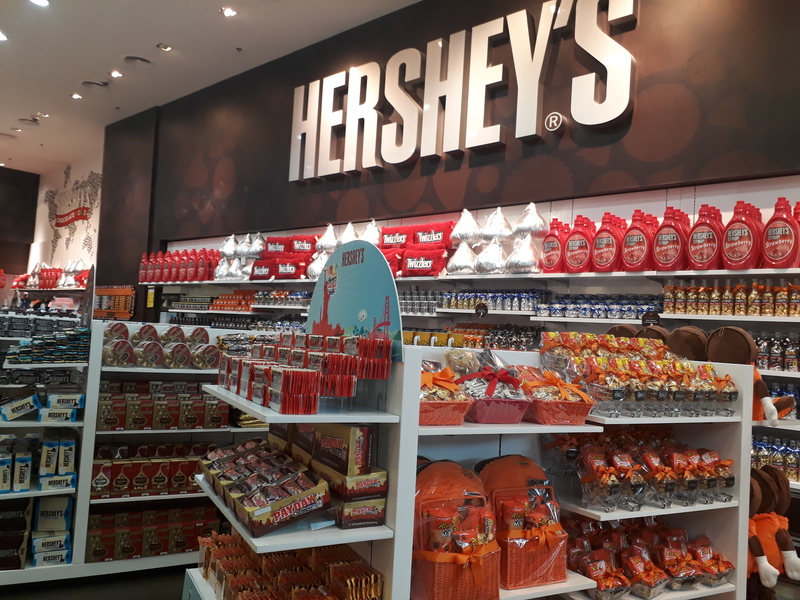 So last week as I was browsing my phone I came across these photos and thought “Okay I wanted to share this to my kabayans in the Philippines because I know a lot of my friends love chocolates, and I actually plan to bring some for them maybe next year. Now tell me if you aren’t fascinated by them? Look at those humongous Hershey’s Kisses! They are the perfect option to buy as gifts for Christmas and even Valentine’s Day to your friends and families. 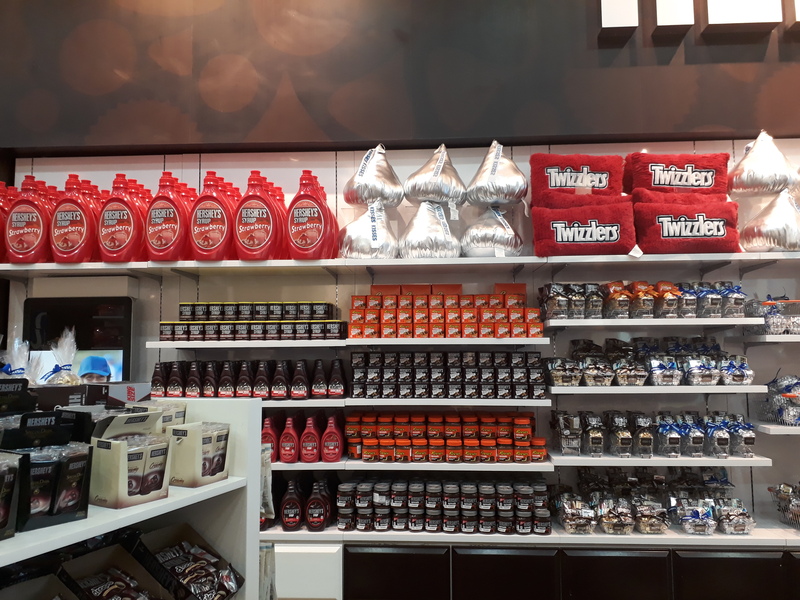 Seeing a lot of chocolates all lined up gave me a bit of a headache. 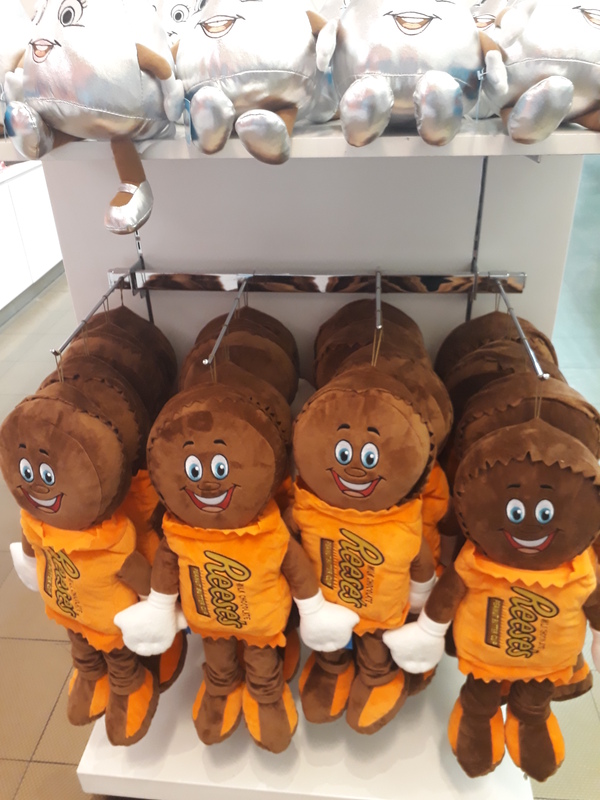 I had this urge to grab them all and throw into the shopping basket. I can just imagine how kids are when they’re inside here, faces all lit up and smiling and begging their mommies to buy the whole store! 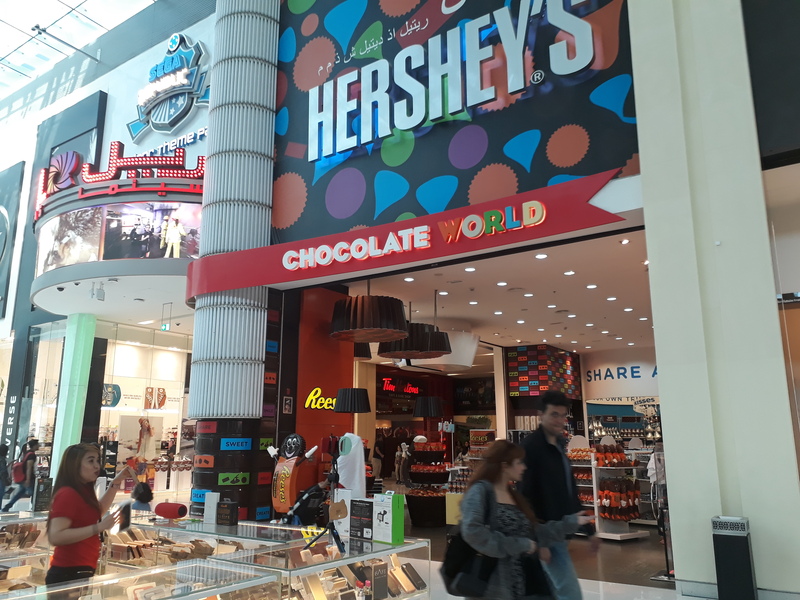 Philippines, please please put up a Hershey’s Chocolate World there !